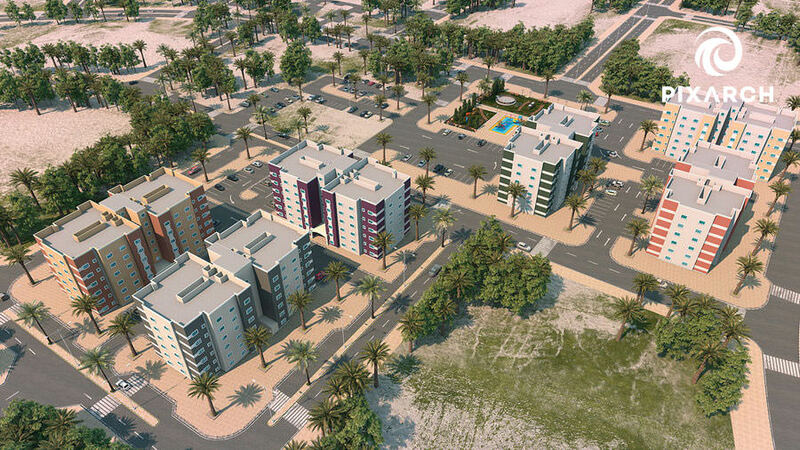 Ministry of Housing, Saudi Arabia in collaboration with SABS Group brings another luxurious housing project which is located on a 25 min drive from King Khalid International Airport. 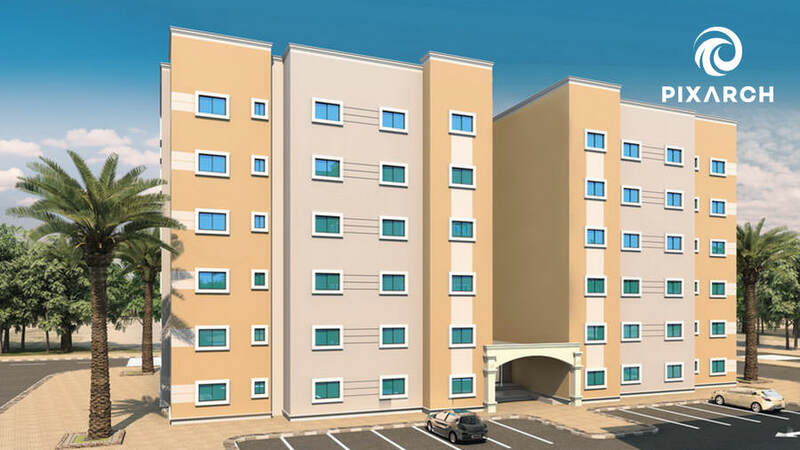 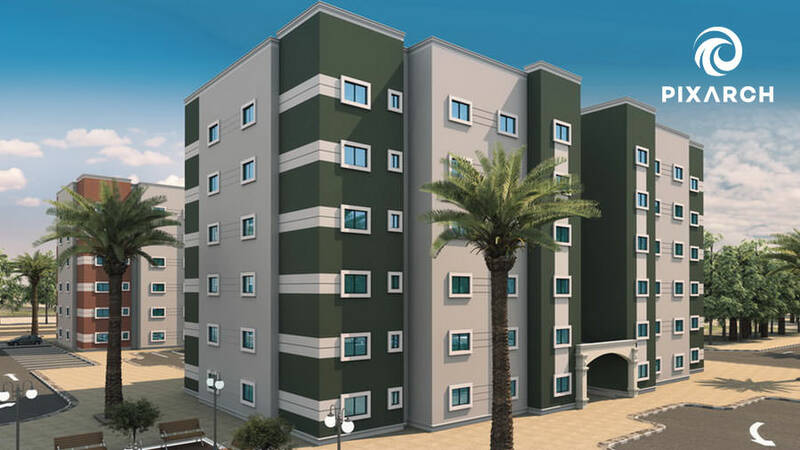 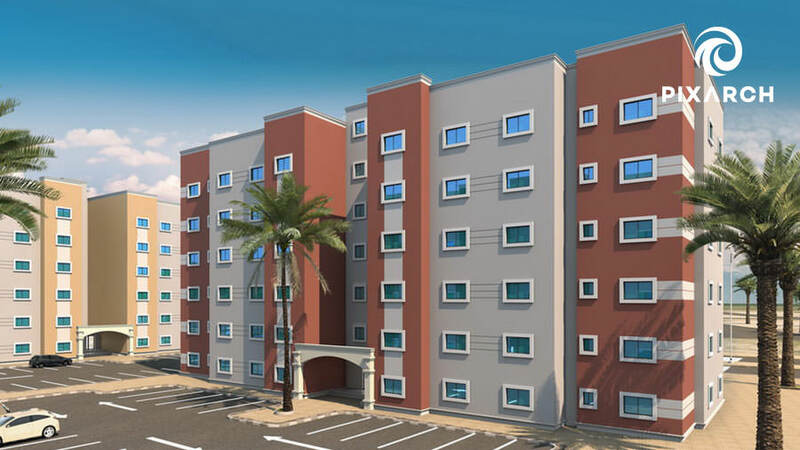 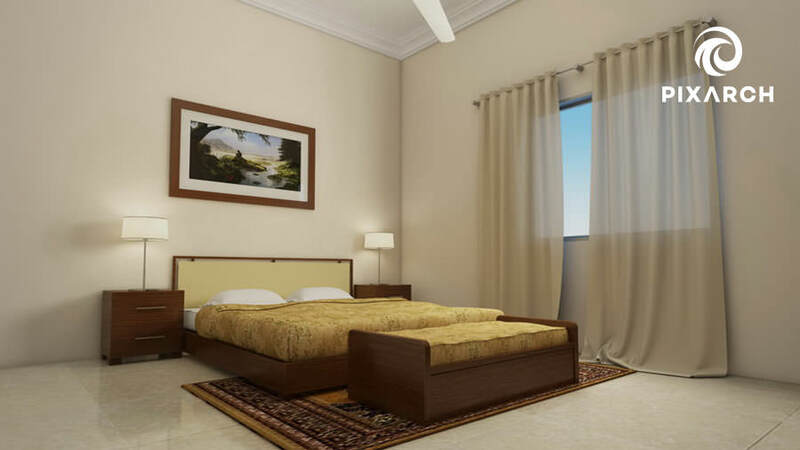 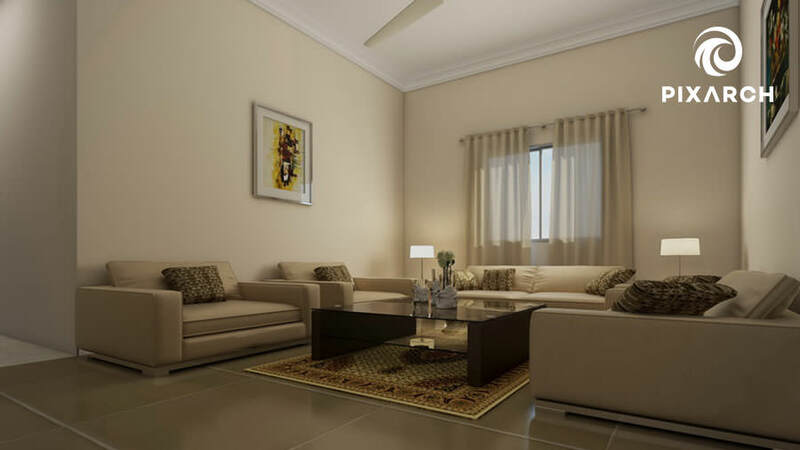 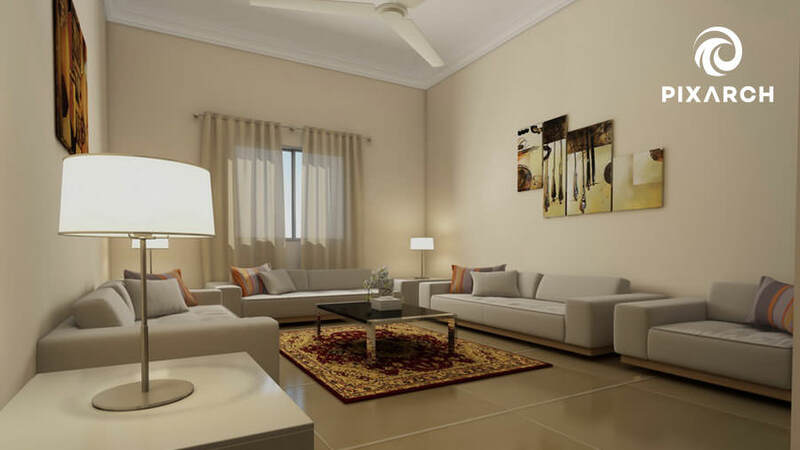 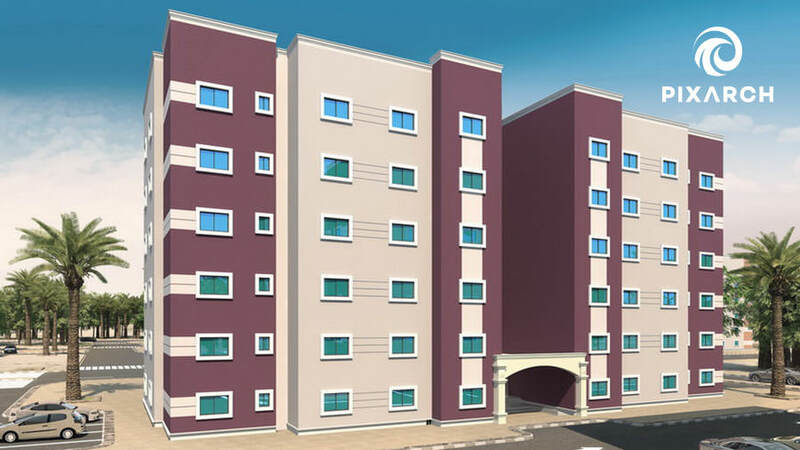 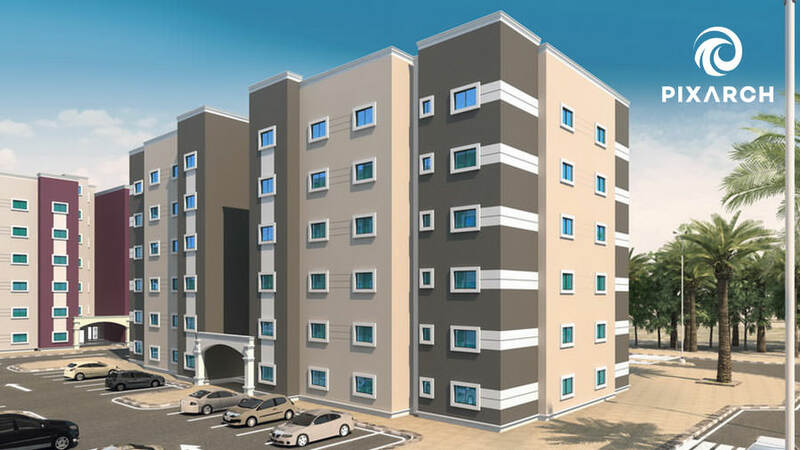 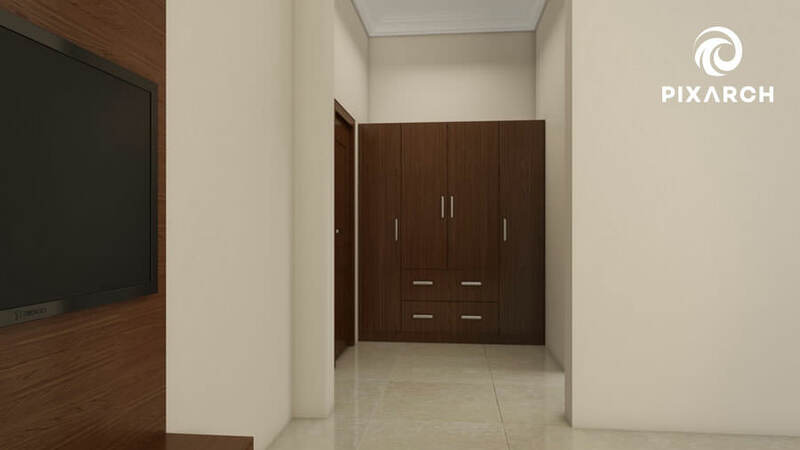 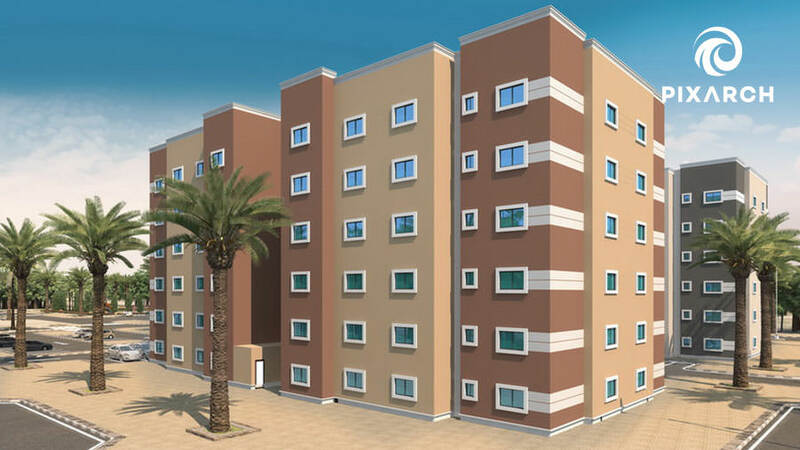 There are four apartments on each floor which are a combination of luxury and comfort. 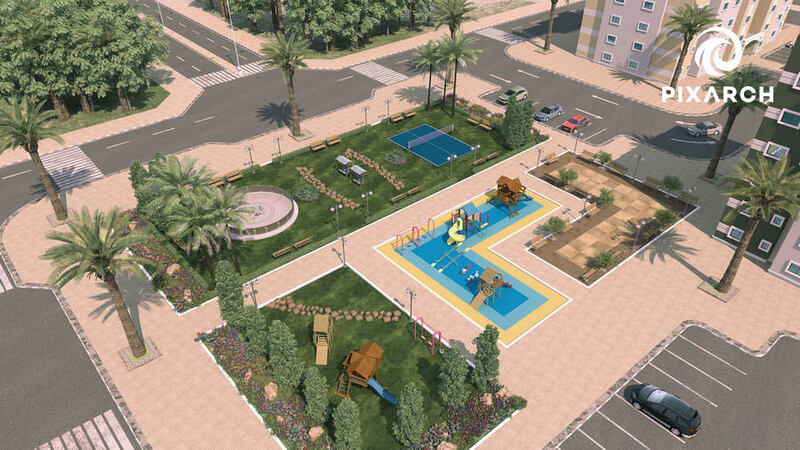 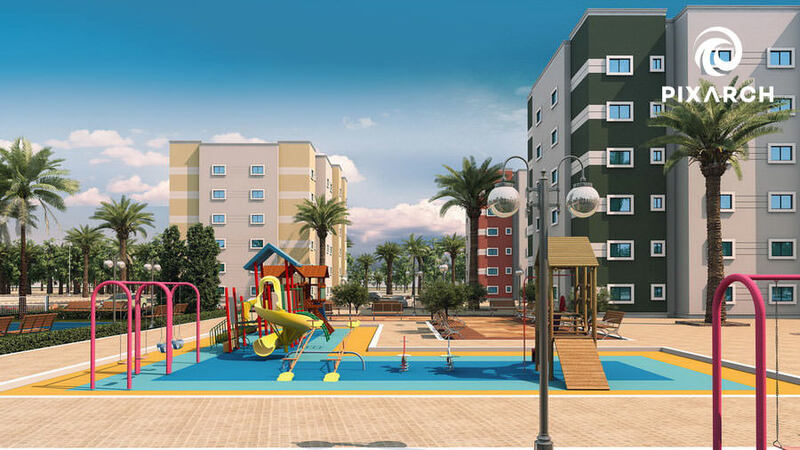 The project also includes different amenities such as kids play area, dedicated car parking and an international standard tennis court. 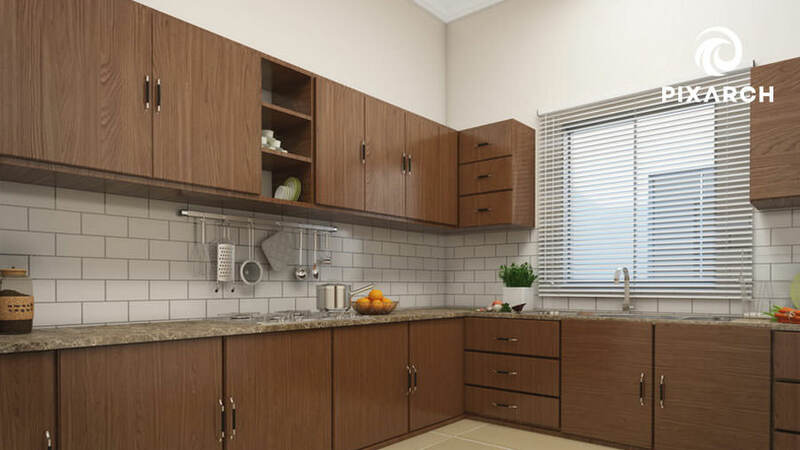 Pixarch was selected to develop 3D Animation, 3D High Quality Views, 3D Floor Plans and Interactive Touch Screen Presentation for the project. Since the project commanded quality, Pixarch used the latest techniques for giving the project a digital life; a highly Interactive Touch Screen application for the project was also developed. 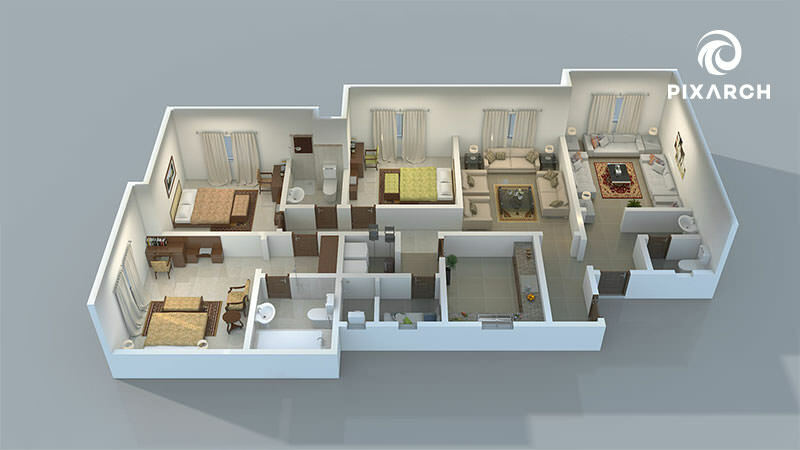 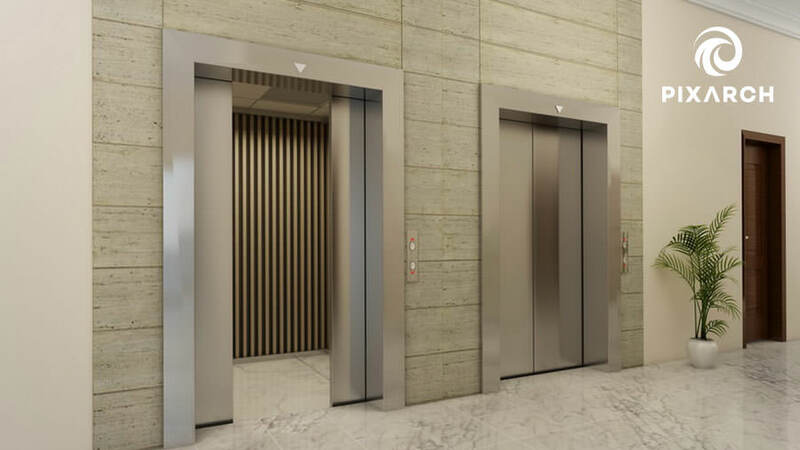 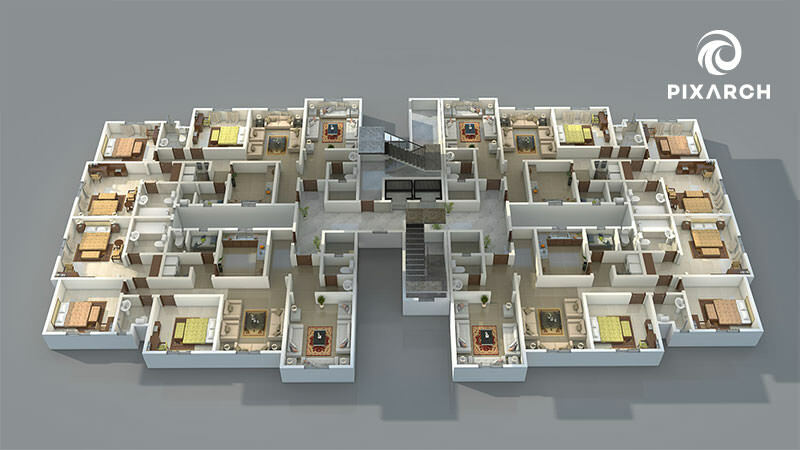 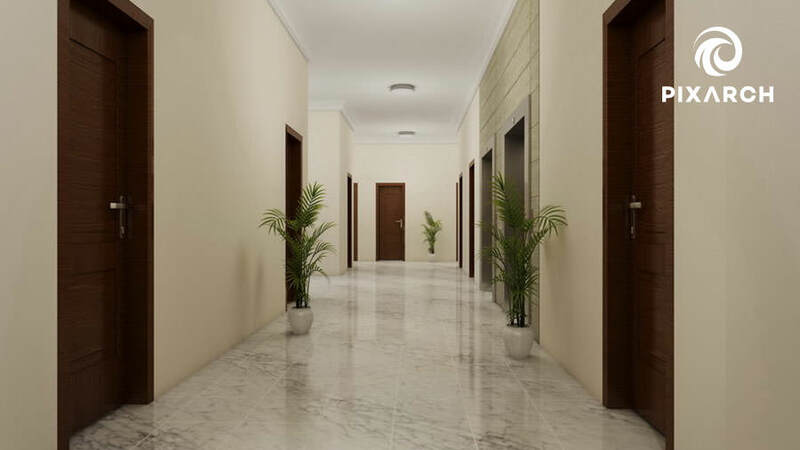 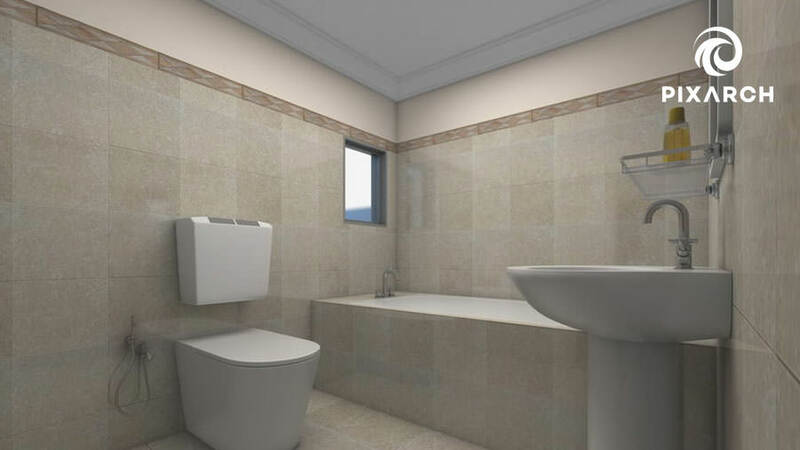 By Using Interactive Touch Screen Presentation that provides you all the information regarding the apartments, amenities, 3D Panoramic Views, 3D Floor Plans and a comprehensive 3D Architectural Visualization with highly detailed 360 bird eye view of the project.